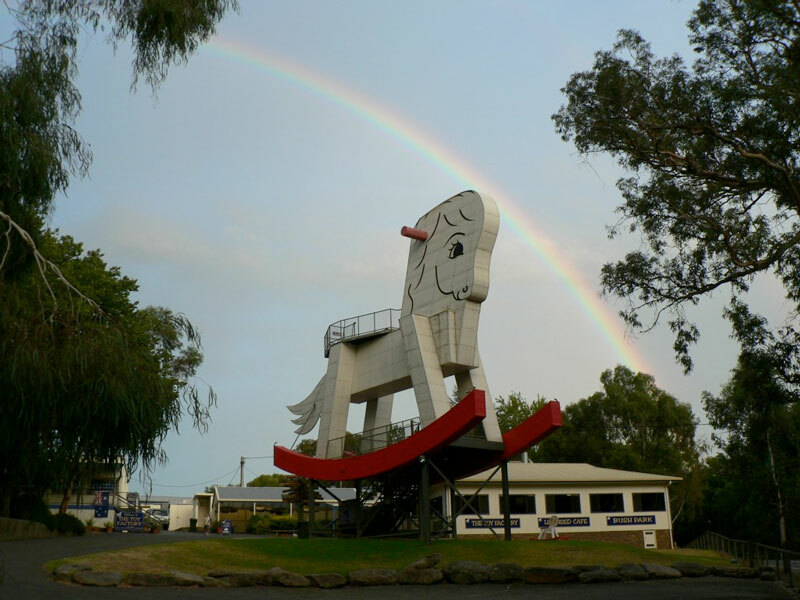 And of course there is the world’s biggest Rocking Horse! Climb to the top and get a certificate of completion, and enjoy the fantastic view from the Horse’s head. In the past (before the trees became too big), the Horse was in fact used as a lookout by the local CFS! The first viewing platform can be reached by steps. However the next platform and the top of the head can only be reached by climbing a series of steel ladders. This means that all children MUST be supervised at all times! Cost = $2 per person, children 3 and under free.